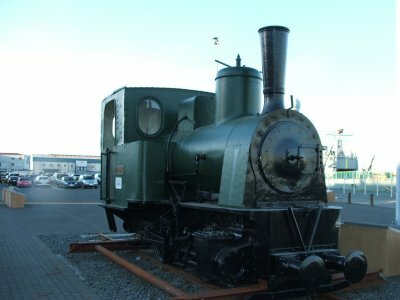 The staff of the MPLR recently took a trip to Iceland.Â Whilst there they had many adventures and even managed to find one of only two surviving narrow gauge locos in the whole country.Â ‘Minor’ was built in 1892 in Germany and is sadly no longer in working conditions and is to be seen quietly rusting away at the harbour in Reykjavik. 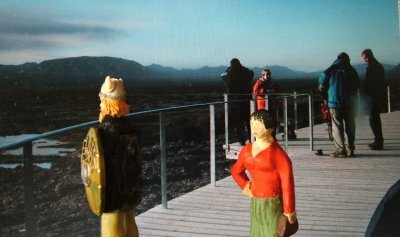 On one day, we took a Jeep trip to visit, amongst other fantastic places, the ancient meeting place of the Viking settlers and the home of the Icelandic nation, Pingvellir, now a national park.Â While here, Miss Pugh first clapped eyes on Haraldur.Â In the background can just be made out the form of the Fat Controller of the MPLR.Â Bertha did her best to get ravaged by him but he behaved like a perfect gentleman.Â Despite all, there blossomed a wonderful relationship between the two of them. 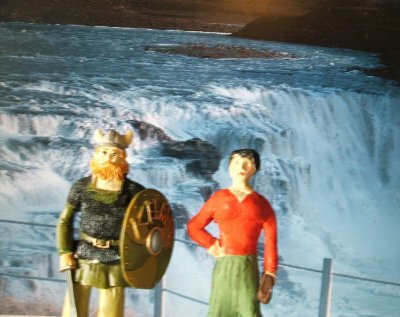 They spent the rest of the holiday sightseeing on their own.Â Below we see the two of them at the Gulfoss falls. 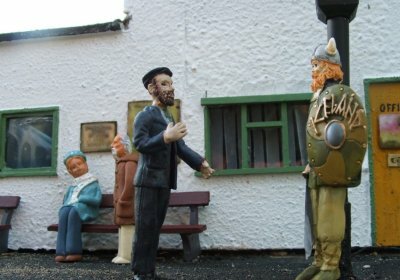 We all thought that it was just a holiday romance, imagine the surprise when, on returning back to the MPLR, who should arrive at the station, but Haraldur the Viking! 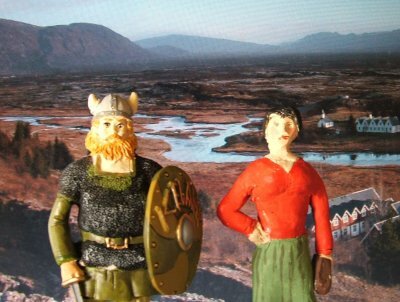 “Afsakio, eg heiti Haraldur.Â Hvar er Bertha?” asks the love struck viking.Â “Er, talar pu ensku?” replied Archie, much to our surprise as we had no idea he spoke Icelandic!Â A man of many talents, our Archie.Â Soon our two lovebirds were happliy reunited. Ahh! Check out the updated ‘Guided Tour’ page, we have added a number of new photos that show the development of the MPLR over the summer months – more to follow. The workshop crew have been busy converting ‘Ron’ to 4WD and giving him a new gearbox too. He is back to work and more useful than ever. Also, Queen has been fitted with new piston assemblies which everyone thinks look much nicer then the originals. Pictures will be added very soon.